This trio of veteran jazz players from Montana have released a new CD of mostly standards, an homage to the great songs of the jazz idiom. From Bill Evans to Sting and Thelonious Monk the trio plays them with heart and attention to detail. 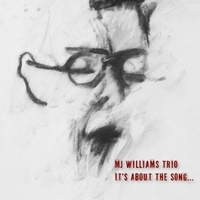 "MJ Williams is one of the most original voices I've heard in a long while. You can't help but think that wider recognition is around the corner..."
"Ann Tappan on piano and Kelly Roberti on bass are fine accompanists indeed, allowing endless amounts of freedom while creating a solid backdrop for the vocals and providing tasty and reflective so0los that add to the integrity of the whole".